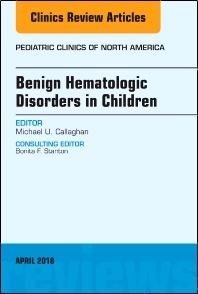 This issue will provide a current update on diagnosis, treatment, and management of children with being hematological disorders. Dr. Callaghan has put together a comprehensive issue with clinical reviews written by top experts in the field. Articles are devoted to the following topics: Hemophilia; Sickle cell acute chest; Sickle cell drugs; Sickle cell gene therapy; Sickle cell menses and pain; Pediatric DVT; Atypical HUS; von Willebrand Disease; Female bleeding; Functional platelet disorders; Hemolytic anemia; Advocacy in hematology; ITP; and Acquired aplastic anemia. Readers will come away with the current clinical information they need to improve clinical outcomes.